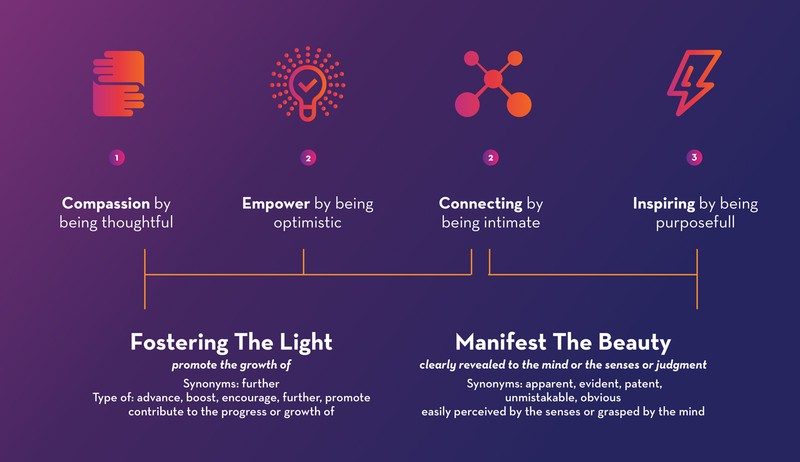 Lampudjalan is an integrated platform that provides a better ecosystem for writers to enabling their ideas through personal branding approach to give enlightenment to popular public readers. 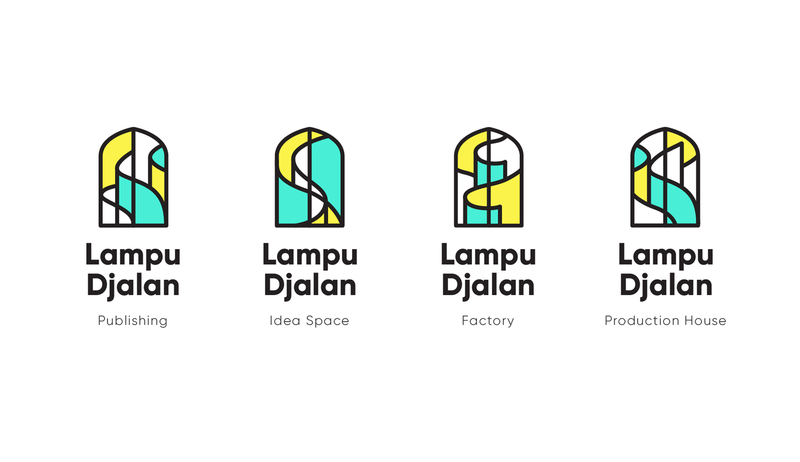 Lampudjalan was constructed by 3 core entities, their services as writer consultant as a literature-centric media publisher (books, music, web series, etc), and writers coworking space. 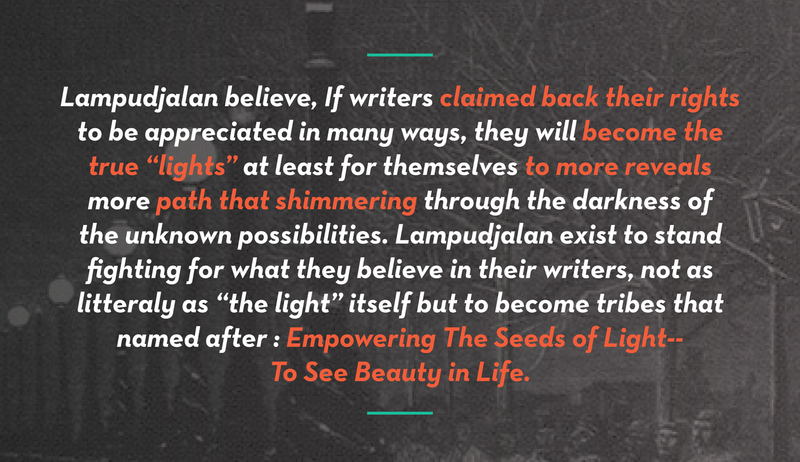 Lampudjalan believes, If writers claimed back their rights to be appreciated in many ways, they will become the true “lights” at least for themselves to reveals more paths that shimmering through the darkness of the unknown possibilities. 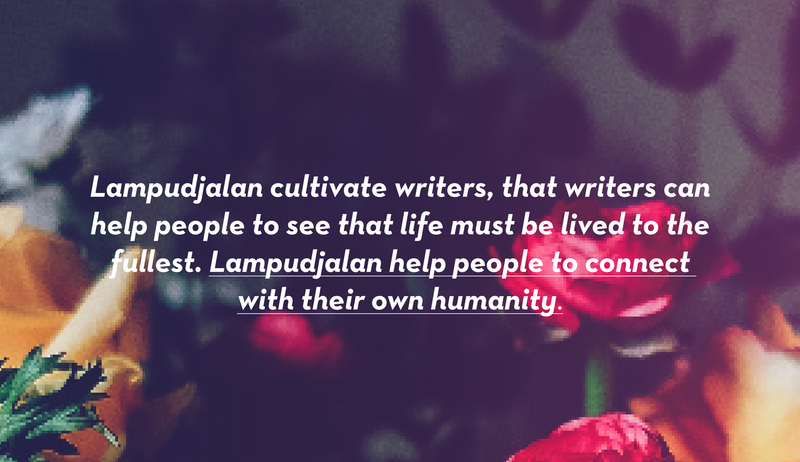 Lampudjalan exists to stand fighting for what they believe in their writers, not as literally as “the light” itself but to become tribes that have a statement: Empowering The Seeds of Light. 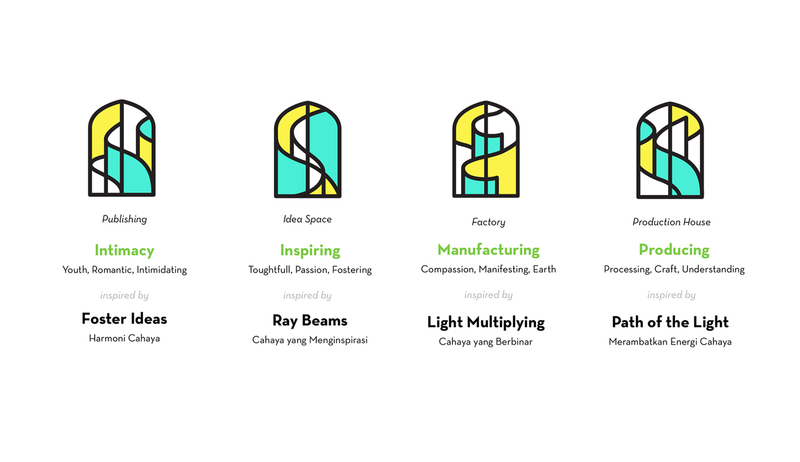 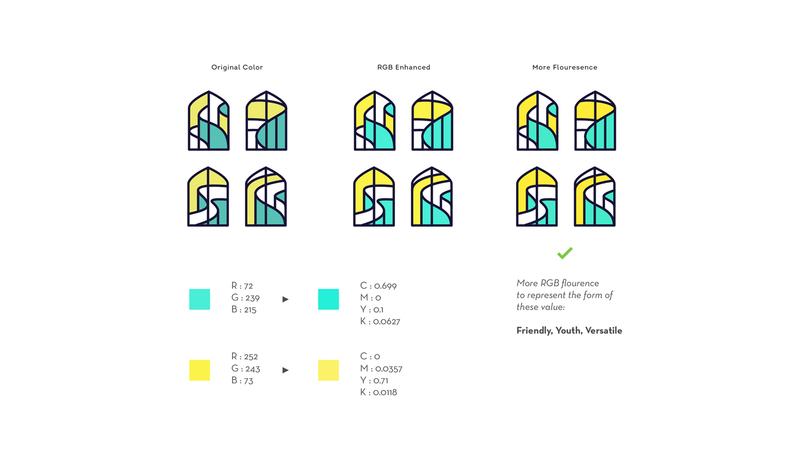 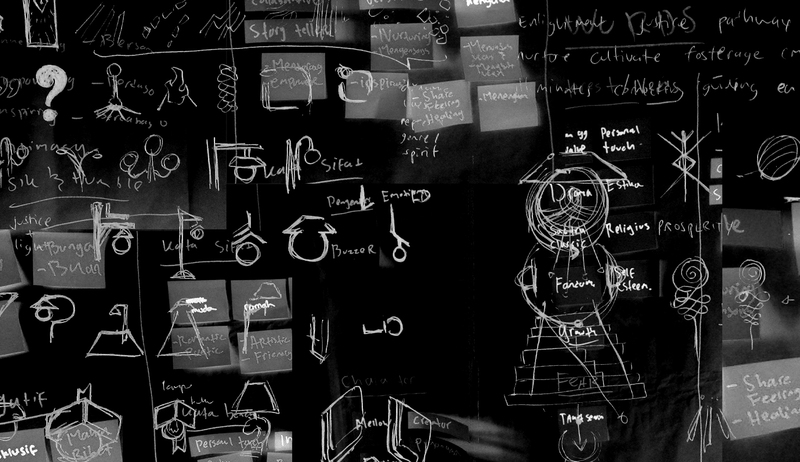 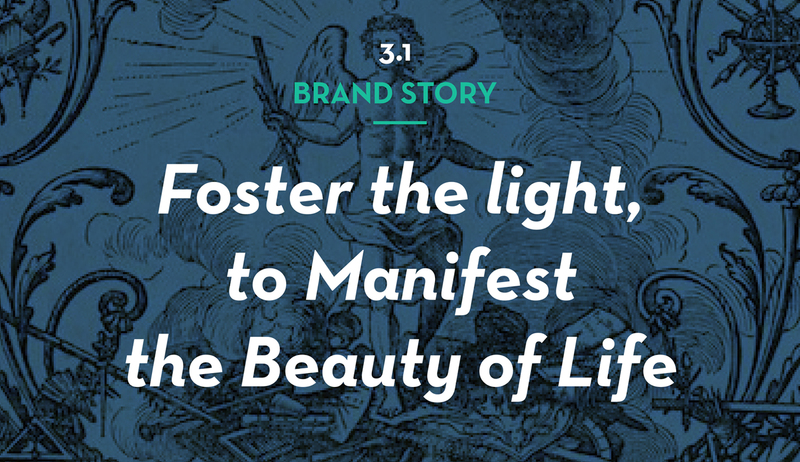 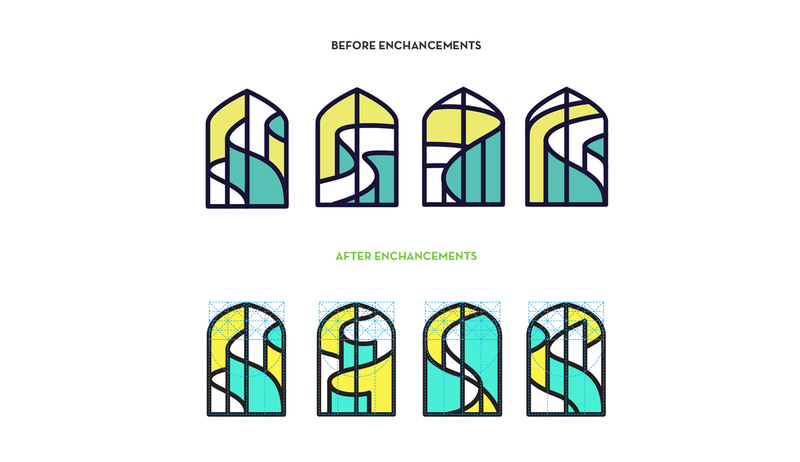 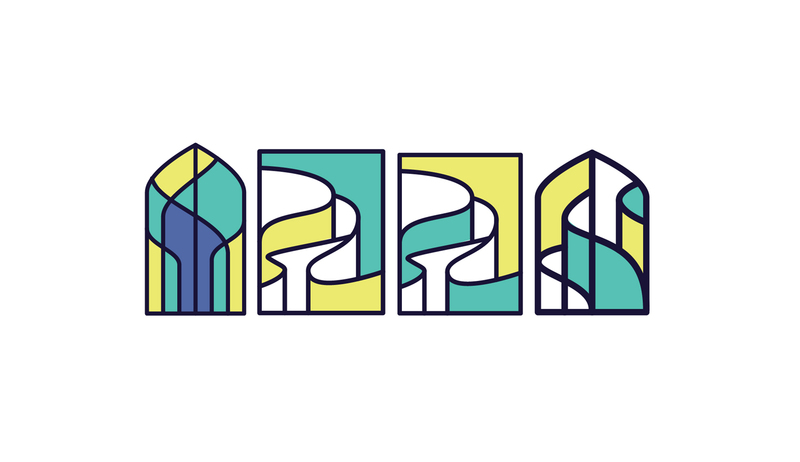 Driven by the willing to fostering and manifest passionate writers, designer crafted the visual communication beneath the concept of a metaphorical symbol, in hope of getting people to capture the idea quickly and efficiently; and by a dynamic visual element that reflects the colors of company personality.